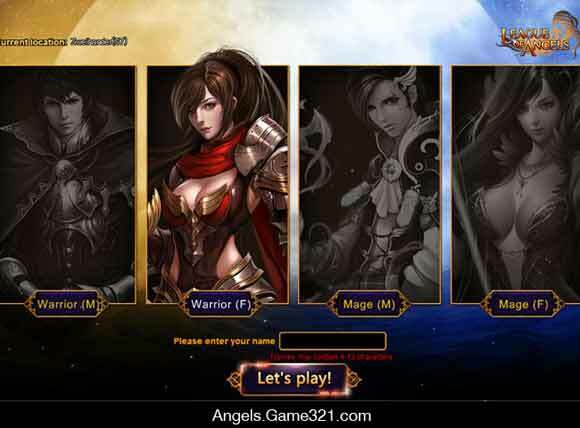 NGames, a leading online games publisher, is today thrilled to announce League of Angels – a brand new fantasy MMORPG coming soon to the popular Game321.com portal. With painstakingly balanced PvP features, robust weapon combination, a thrilling storyline and an abundance of side-quests, League of Angels promises to be an impressive newcomer to the browser-based MMORPG space. To celebrate the reveal, publisher NGames has today released first details on the upcoming adventure game. League of Angels thrusts players straight into a dangerous and whimsical world, as their customisable characters are immediately tasked with freeing an angel trapped in an underwater cavern. The League of Angels that protects the world from darkness is under threat from powerful forces of evil, and it is up to brave players to recover the Seal of Light and restore it to banish the evil once and for all. Without the Seal, the League of Angels will be without their power, and evil will soon consume the world. Along the way, players will have to explore and conquer challenging dungeons, as well as partake in a variety of fun mini-games, from Bejeweled style puzzlers to arcade shooters. Meanwhile, ever-present PvP arenas give adventurers plenty of opportunity to duke it out for high rewards and honours. At launch players will be able to choose between Mage and Warrior classes, each coming with entirely unique gameplay styles. While Warriors make use of bonuses to physical attacks and defenses, Mages can wield all manner of magic to lay enemies to waste. NGames will reveal more of the upcoming classes soon. 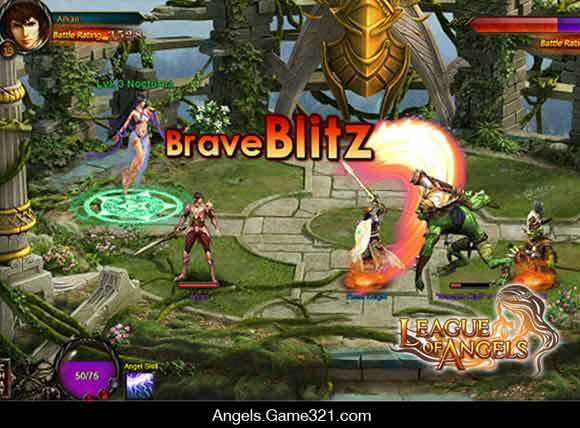 League of Angels features party-based battle gameplay, with each team made up of angels, heroes, and customizable player characters. A balanced PvP combat system means players can combine multiple heroes and angels to create entirely unique tactics, as certain combinations of characters work together to produce stunning new attacks and buffs. 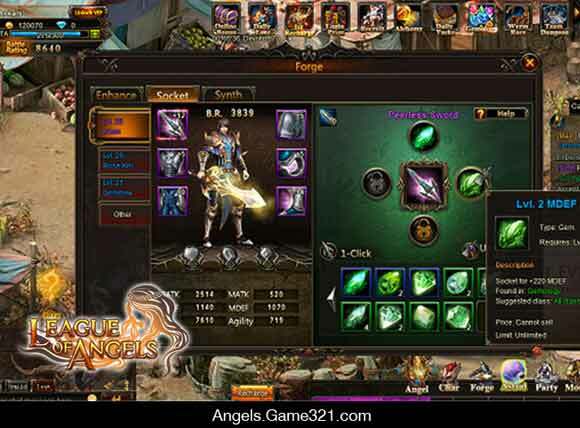 League of Angels' gives players the power to customise their characters, weapons and equipment in a variety of ways. Players collect various gems with different attributes, which they can either use or fuse with different gems to create more powerful buffs. These gems can be placed into various weapon and equipment sockets to enhance particular attributes, such as physical attack, magic attack, HP, magic defense, physical defense, and agility. The ability to switch and replace gems means players can deploy wildly different tactics at a moments notice, changing their approach to take advantage of any opponent's weakness. 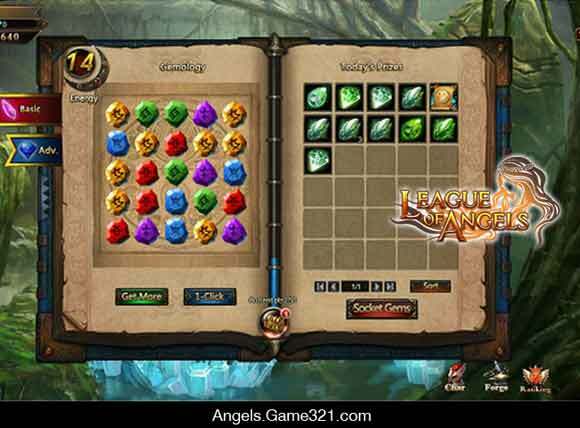 League of Angels is an exciting new MMORPG coming soon to the Game321.com online games portal. Publisher NGames will be revealing more information soon.